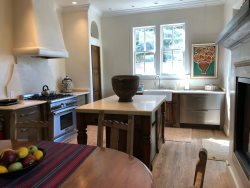 Walk to the Santa Fe historic district and the Plaza from this wonderful three bedroom free-standing vacation home. This home is located in the well established, quiet Rosario Hill neighborhood. Light and bright with all the Santa Fe touches - high ceilings, vigas, and a gourmet kitchen with stainless steel appliances. 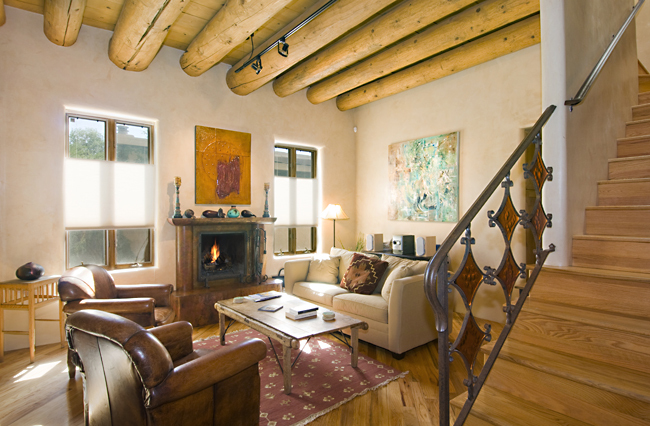 This is the perfect lodging in Santa Fe New Mexico! 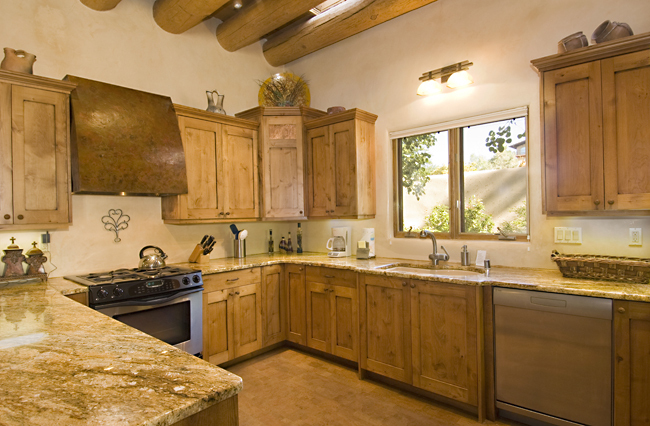 Wrap around patios and decks upstairs are perfect to enjoy the warmth and sunshine of Santa Fe. 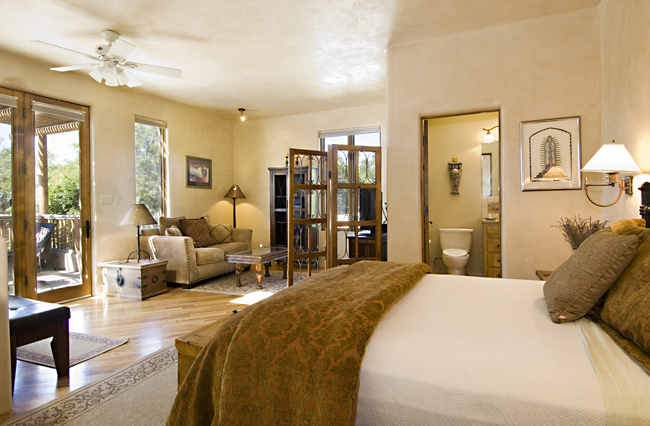 The Master bedroom is upstairs with an intimate sitting area and a 32" flatscreen TV. There is also a private deck off the master bedroom suite. The two guest bedrooms share a beautiful tiled bathroom with walk-in shower. Each bedroom has a TV and two have DVD players. The guest bedrooms are off the main living/dining area. There is a beautifully landscaped patio with a fountain, rose bushes and aspens to enjoy morning coffee. Pets will be considered. For larger groups look at Sweet Juniper. Very helpful and responsive always. To quote Arnold Swarzenegger - I'll be back! Small pet allowed with security deposit and management approval.